Russia is to renew production of the Tu-160 “Blackjack” supersonic strategic bomber and missile carrier, according to defense minister, Sergey Shoigu. “Today it is already necessary to solve the task of not only maintaining and modernizing long-range aviation, we must also produce the Tu-160 missile carrier,” Shoigu said during a visit to the Kazan Aviation Plant, as cited by Sputnik news agency. “For now, this is the best existing supersonic bomber,” the minister emphasized. The Tu-160 (NATO reporting name: Blackjack) was in the past nicknamed the ‘White Swan’ by Soviet and Russian pilots. The aircraft is the world's largest supersonic bomber jet, as well as the heaviest combat aircraft in the world, according to its manufacturer, Tupolev JSC. 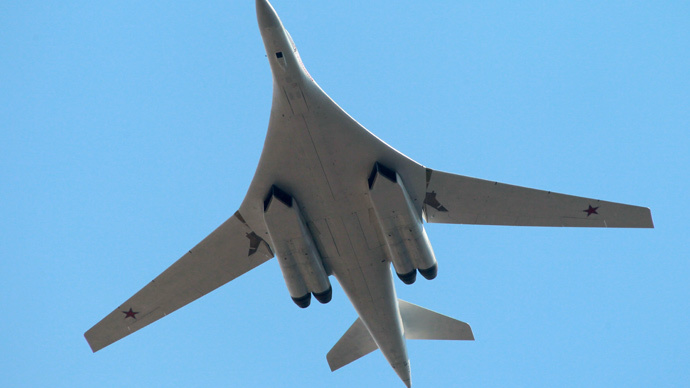 The Russian Air Force currently operates about 15 Tu-160 strategic bombers, according to TASS. In 2013, the Russian Defense Ministry signed a $66 million contract with the Tupolev design bureau and Kazan Aircraft Plant to upgrade three of the Tu-160 bombers.